Lottery winners have been chosen, and we are no longer taking applications. Below Maket Rate unit. Brand New Construction! 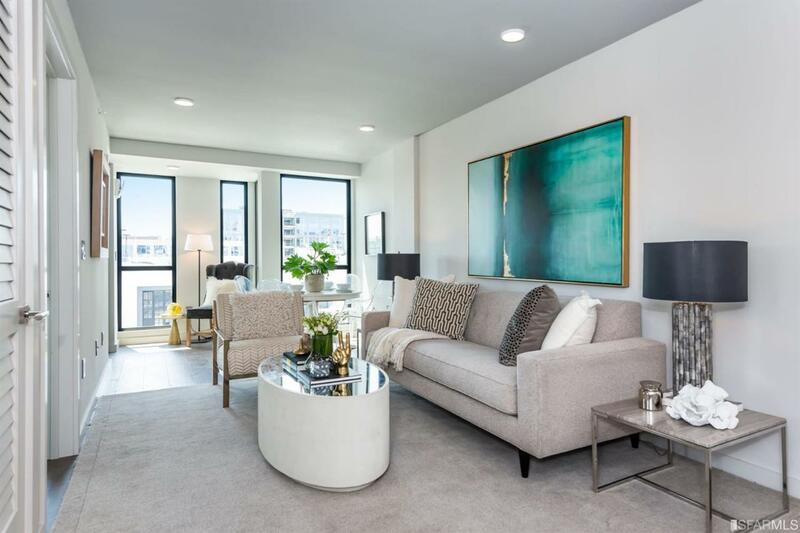 Modern and luxurious fifth-floor, two-bedroom condominium unit at Sutter North! 504 features sleek modern kitchens featuring Italian cabinetry and top-of-the-line appliances, floor-to-ceiling windows, wide-plank walnut flooring, Thermal radiant heating throughout, designer bathrooms showcasing floor-to-ceiling Amalfi ceramic tile and Duravit soaking tubs, In-unit Bosch stackable washer and dryer, and a deeded patio with Marine style IPE wood decking creating the ultimate experience. Photography does not depict a specific residence. © 2019 San Francisco Association of REALTORS® Multiple Listing Service. All rights reserved. Listings on this page identified as belonging to another listing firm are based upon data obtained from the SFAR MLS, which data is copyrighted by the San Francisco Association of REALTORS®, but is not warranted. IDX information is provided exclusively for consumers' personal, non-commercial use and may not be used for any purpose other than to identify prospective properties consumers may be interested in purchasing. Information is deemed reliable but is not guaranteed accurate by the MLS or Keller Williams San Francisco. Data last updated 2019-04-23T15:19:55.007.